Stories are powerful: Our brains are literally wired to take in and preserve stories. Done well, stories can drive us to take action. So how do you tell stories well? There have never been more ways to reach an audience, but it’s harder than ever to really get their attention. We’re happy to introduce Storytelling for Good. It’s a platform designed with you in mind and will help you and your organization plan and execute a storytelling strategy—giving you the tools, resources, and case studies you need to become a storytelling organization from top to bottom. In this webinar, we’ll partner with Hattaway Communications’s Kimaya Dixit, one of the original platform’s architects, to walk you through what it is, how to use the platform, and the four pillars of storytelling. 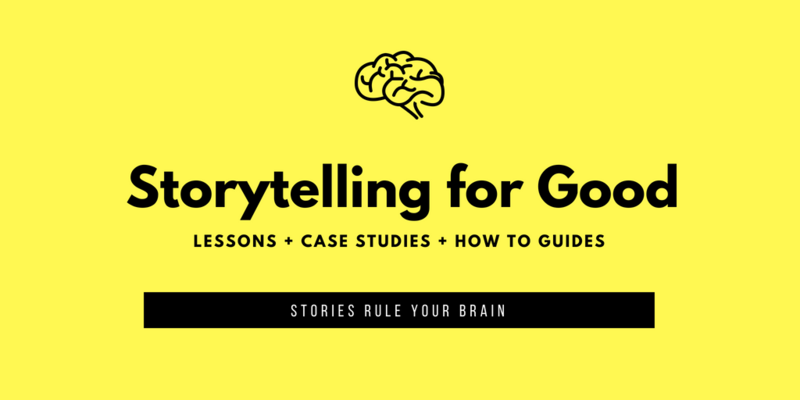 This webinar will be the first in a series that introduces Storytelling for Good, teaches you how to use it, and explores each of the four pillars of storytelling — Strategy, Content, Engagement, and Evaluation — in depth.